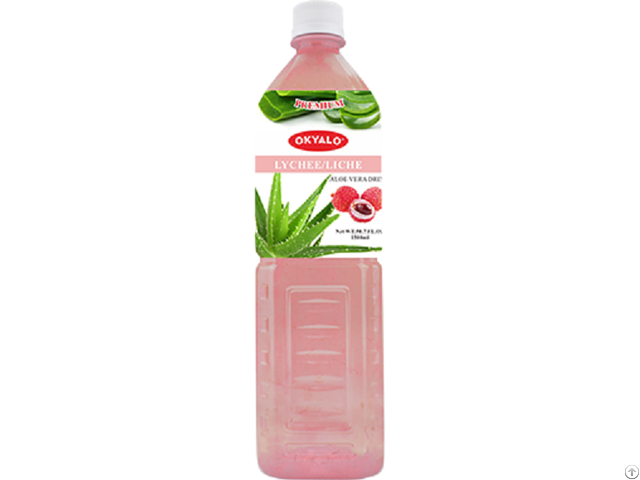 Our refreshing, OKYALO 1.5L Lychee Aloe Vera Water Beverages contains 15% premium REAL aloe vera pulp and FRESH aloe vera gel. 100% natural...NO powders! The aloe vera plants used in our drinks go straight from the plantation to the factory, therefore is as fresh as possible, and NO preservatives. NOTICE: We are lychee aloe vera juice drink manufacturer and looking for distributors for the whole world market. Business Description: Okeyfood Co.,LTD was founded in 2007, and specializes in high quality aloe vera drinks for 9 years. Nowadays Okeyfood is the best beverage manufacturer and exporter, we are supplying premium quality beverages to the world market, with the most competive price . Our OKYALO brand aloe vera drinks have distributors in more than 30 countries.